I love this publicity photo of Walt for Darby O'Gill and the Little People. Walt won many awards over the course of his life and career, some 960 to be exact. 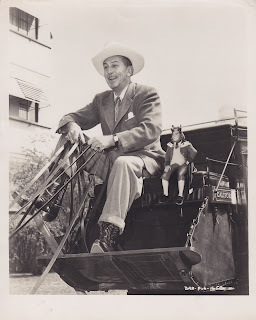 Like many of us Walt was an animal lover, his films particularly Bambi and the True-Life Adventures confirm that as does this photo, for anyone that needed proof. 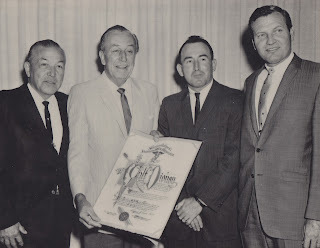 In this photo, taken in 1966, Walt is awarded this Resolution from the Southern California Veterinary Medical Association in "gratitude and appreciation for his immeasurable contributions to the veterinary profession."